Now, Dark Horse is taking fans behind the panel with this deluxe director’s cut showcasing high res, uncleaned scans of Dean Ormston’s beautiful inked line art from the first issue of the award-winning Black Hammerseries. The director’s cut also includes Todd Klein’s lettering, Jeff Lemire’s original script, and a high res scan of the original cover. 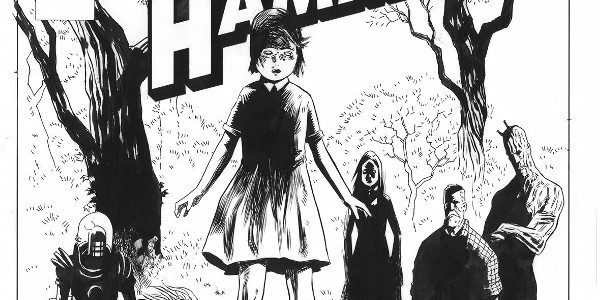 A must for collectors and all Black Hammer fans! Black Hammer: Director’s Cut goes on sale January 16, 2019, and is available for pre-order at your local comic shop. With 51 story pages, this special edition of Black Hammer #1 retails for only $4.99!